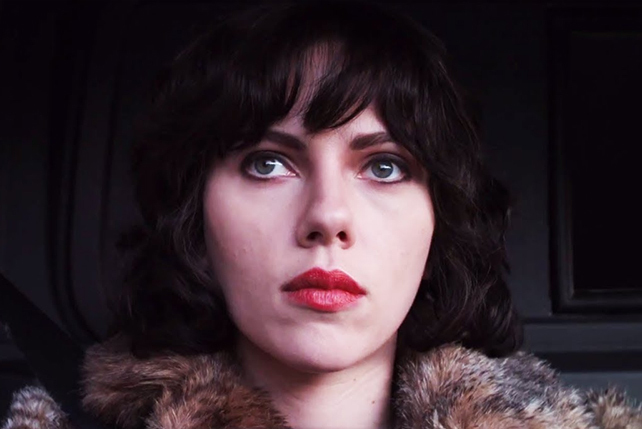 Check out this week’s must-see gigs, parties, and events! Where: World Trace Center, WTCMM Building, Gil Puyat Ave. Extension corner Diosdado Macapagal Ave., Manila. Why you should go: For the first time in Manila, this English indie rock band will perform live! Listen to Bombay Bicycle Club as they perform their hits "Luna," "Shuffle," and "Always Like This" in front of your very eyes. Other details: Concert starts 8 p.m. Get your tickets at SMTickets outlets. Why you should go: Rap, trap, twerk, and repeat. 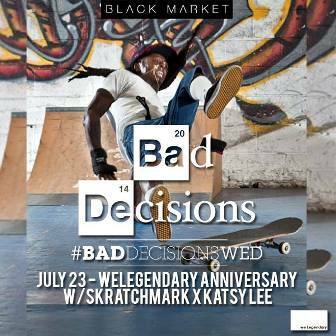 After staying indoors last week because of the storm, party it up with the hommies from weLegendary! At the event, limited edition Bastos Business shirts will also be for sale. Why you should go: Ride the music waves and chill out this Wednesday when surf rock band Matala, all the way from Guam, jams with Bubblegoo, Mad Hatter Day, Nanay Mo, and Conscious & The Goodness. 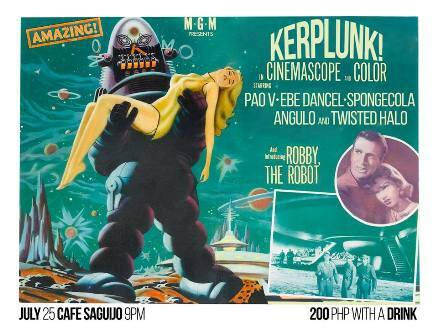 Other details: Show starts 8:30 p.m. Get in for P150, inclusive of one drink. Why you should go: Relive the Golden Age of House Music from the early 2000s featuring DJs David Ardiente and Superfly’s Spcaoboy! Buy 2 bottles of Glenmorangie for only P5,000 and buy 2 take 1 on local beers all night! Flavored Shisha at P550 per load. Other details: Party starts 10 p.m. For reservations, contact (02)4784284 or 09328567593. 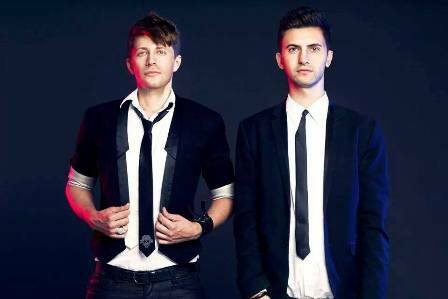 Why you should go: This electronic music duo will be performing a set for their Filipino fans this Thursday! Opening acts include Marc Naval and Jacques Greene. Other details: Doors open 9 p.m. Tickets available at all Ticketworld outlets. Why you should go: If you just came from the Disclosure party and you're still craving for more, then drop by the after party! Jacques Greene from Canada will be in charge of curing your Disclosure separation anxiety. 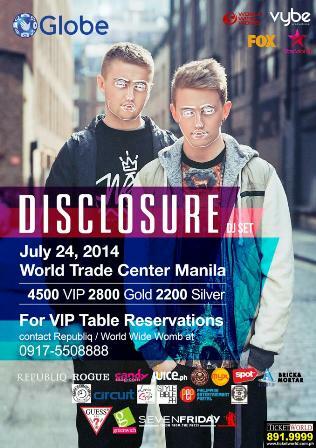 Other details: Gates open 10 p.m. Free entrance to those with Disclosure ticket stubs. For those who don't, P200 will be charged at the door. Why you should go: Rave Republic drops by Hyve this Friday! DJ Stas and Mathias Schell of this EDM duo will be in taking over the table with their insane energy and banging tunes. Other details: Gates open 10 p.m. For reservations, contact 09176335882. 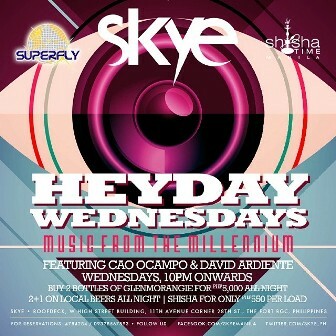 To be on the guest list, contact 09175529084. Why you should go: Because the line up includes Ebe Deancel, Paolo Valenciano, Angulo, Sponge Cola, and Twisted Halo. If you want to see these musicians share the stage, then you know where to be on Friday. Other details: Show starts 9:30 p.m. Entrance is P200, inclusive of a drink. 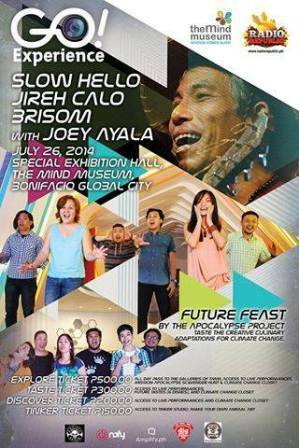 Why you should go: Slow Hello, Brisom, Jireh Calo, and Joey Ayala perform for this Go Experience music fest. As Radio Republic will be staging this event in The Mind Museum, gig goers can also access various parts of the museum and participate in different activities. Other details: Event starts 12 noon. Explore ticket (day pass to galleries, live performances, scavenger hunt, etc.) costs P500. The Taste ticket (access to live performances and future taste and climate change closet) costs P300 while the Discover ticket (access to live performances and climate change closet) costs P200, and the Tinker Ticket (access to Tinker Studio) costs P150. 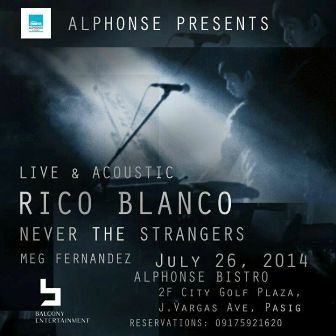 Why you should go: For anyone craving a mellow Saturday night, Rico Blanco, Never The Strangers, and Meg Hernandez perform their hits live and acoustic. Other details: Gig starts 9 p.m. For reservations, contact 09175921620.